I’m just back in Shenzhen from a visit to a client in Kunshan, near Shanghai. For me personally, it was a particularly poignant trip. It’s the first time I’ve been back to Jiangsu since 1982, when I left Nanjing University. Thinking as much with my stomach as my head, I immediately on arriving at 9:30pm on Wednesday night cajoled Nina, my partner, to go on a late-night search of great Jiangsu food. I eventually lost count, but by the time I left, I must have had enough xiaolongbao to feed a nursery school. As thoroughly enjoyable as this “Jiangsu homecoming” was, it was not even close to being the highpoint of the trip. We spent two full-days with our client, in meetings with a very select number of Private Equity firms. The meetings, from my standpoint, were truly outstanding – a text-book example of how great businesses and a great institutional investors should interact. 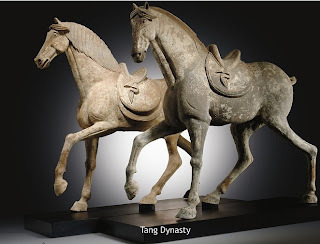 In fact, our client and the PE investors were, to my eye, as well-matched as this pair of Tang Dynasty horses. As I told one of the PE partners afterward, I’ve been in a lot of initial meetings between companies and PE or VC firms. But, never was I involved in a investment meeting that was conducted at such a uniformly high level, with both company and investor executing at the highest level of accomplishment and professionalism. For the PEs, this was the second-round of meetings, following earlier ones in Shenzhen, with our client’s CFO, that focused primarily on the company’s financial performance. Our client’s core leadership and ownership, however, are both based in Kunshan. So, there was even more to discuss in this second round meeting. For our client, this was on-the-job training. They’ve built an enormously successful business, with sales this year in excess of $120 million, and a strong likelihood of becoming, within five years, a multi-billion dollar enterprise. But, the client has done all this without equity finance, using only retained earnings and bank debt. So, they’d never before presented themselves to sophisticated and experienced equity investors. They don’t come any more sophisticated and experienced that these particular PE investors, with track records, both as individuals and as firms, that put them at the top of their profession. Our client more than exceeded our highest expectations, preparing exhaustively and answering comprehensively. China First Capital works to find the right investor for its clients. Not the investor offering the highest valuation, or the quickest path to IPO. We give this a lot of thought, matching the strengths of our client to the strengths of a particular PE firm. Done right, it’s transformational for both company and investor: a case of the total value created not being just larger than the sum of the parts, but exponentially so. It’s early yet in the process. We’re planning on several more meetings with PE firms. But, I left Kunshan even more optimistic about our client’s future, building a great partnership with a PE investor. It may not sound like it, but it’s meant to be my highest compliment to both our client and the PE firms we met with this week: the xiaolongbao were good. The meetings were better. Both of these sublime works of art are among several hundred Chinese objects being auctioned at Christie’s in New York next month. While I won’t be present, or bidding. I do enjoy studying the photos and reading the descriptions in the online catalog. What I miss most, though, is handling the objects. 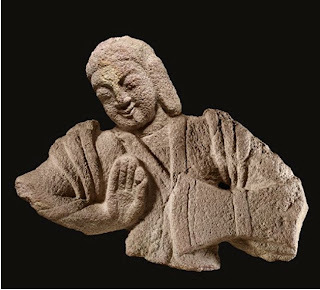 One of the great joys of my life, during the years I lived in New York and London, was visiting Sothebys and Christie’s auction houses during the preview period for their twice-annual sales of Chinese art. Anyone attending the previews is allowed to inspect the objects in the auction. 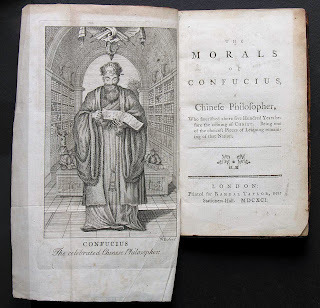 So, I’ve held priceless Chinese objects in my hand, and studied them patiently, up close. 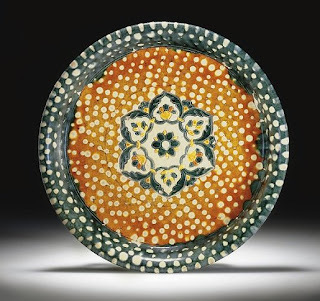 Of all those I’ve held, what stays most in memory is the tactile sensation from a Tang Sancai ceramic, tracing with a finger the sharply incised edges of the petals, the smooth and slick three-color glaze, the dry friable texture of the unglazed bottom. 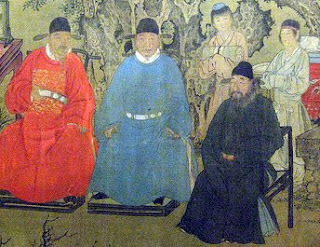 Not much else made 1,200 years ago is as understandable, relevant and familiar as a Tang dish. We use similar-shaped objects for similar purposes every day. And yet, the Tang dish cannot be equaled in its perfected and exacting beauty. One of the supreme satisfactions of my work – and I’m fortunate that my job offers quite a few – is the time spent advising laoban (“business owner” in Chinese) on the value of private equity investment. These owners are entrepreneurs, not financial engineers. So, the world of private equity deal-making and finance is often entirely unfamiliar. As I tell these laoban, in my less-than-fluent Chinese, “you have already done the hardest thing possible in business, by taking an idea, adding little or no capital, and created in China, the most competitive market in the world, a successful business of significant size and fantastic prospects.” Compared to this, anything will appear easy, including closing a round of equity capital from one of the leading private equity or venture capital firms. Now, of course, closing a PE investment round is anything but easy. It involves, at a minimum, a sizable amount of time, stamina, senior-level attention, perseverance, transparency, thoroughness and commitment to building a fully-aligned partnership with an outside investor. I’ve seen it from both sides, both as a CEO and as a venture capitalist. The process can seem like breaking rocks with a spoon. I’ll admit to being a poor instructor. But, an improvable one? I’d like to think so. Together with my colleagues at China First Capital, I’ve put together a list of ten questions laoban should expect to hear in a first meeting with a PE firm. The purpose: to give the laoban a quick sense of the scope and rigor of the PE investment process. Of course, in any first meeting with a professional PE firm, there will be many more than ten questions. It’s unlikely any PE would ask all – or even the majority – of the ten on the list. But, these owner-entrepreneurs are all outstanding problem-solvers. If they weren’t, they wouldn’t be running and owning the sort of businesses of interest to good PE investors. So, the questions are really just a catalyst, to get the laoban to think about how a sophisticated investor will evaluate his business. In other words, to see his business from the outside looking in. This is like refraction, where shifting the angle changes the quality of the light. Here are the ten questions. There are no right answers, of course. Only a right mindset. How much of your equity are you selling? What will you use this equity investment for? When do you hope to complete this fund‐raising? What are you looking for besides capital from an investor? How do you think you can double or triple your profits? How much is your valuation? Who are your competitors and what are your competitive edges? Can you please explain your strategy for growing faster than your competitors? Please give me brief summary of the jobs and the past experience of the most important members of your management team? The world’s largest and soon-to-be second largest economies, the US and China, don’t seem at first glance to have very much in common. The USA is a new country with an old political system. It’s a little appreciated fact that the US political system, coupling a federal democracy with capitalism, is now arguably the world’s oldest, since it’s been going for 232 years without major changes. China, by contrast, is a very old country – indeed the oldest of all nation-states – but with very new, fast-evolving political and economic systems. And yet, there are some powerful similarities, ones that appeal directly to me as a builder and financier of private companies. In terms of raw entrepreneurial talent and ambition, China and the US are all but identical. Now, granted, American and Chinese entrepreneurship can often take very different forms — the US is a mature economy that grows at a solid but hardly spectacular pace. Technology plays a key part in many of the best new entrepreneurial ideas. Think of Google or Facebook. China is booming, and every year, millions of move from subsistence farming to relative abundance, from have-nots to consumers. Opportunities abound, in the most basic industries like agriculture and mining, all the way to biotech and semiconductors. Even so, the entrepreneurial foundation of both China and the US is plainly, and remarkably, visible. A reverence for hard work, vigorous personal ambition, a keen eye for spotting opportunity, these are qualities shared by the people of both countries. It’s why I am so optimistic about the prospects of both countries. And also why I think that China and the US are the two best markets for private equity and venture investment. Entrepreneurship, more than capital, is what drives the process of private equity finance. Dig still deeper, and you find other important commonalities. In both China and the US, the government does not, thankfully, cripple what my favorite economist, Gary Becker of University of Chicago, calls “the dynamic energies of the competitive private sector”. My hope and belief are that this will continue to be the case for many years to come, and that China and the US will continue to offer great opportunities for building great private companies like those we work with at China First Capital. There’s always a conflict, in every large economy, between those who want to regulate and tax the private sector, and those who want to maximize the room for businesses to operate free of burdensome regulations and high taxation. Seen in the broadest terms, the US and China are together following one path, and Europe and Japan are following another. China and the US are still open to high-levels of commercial competition with limited government intrusion. This makes both countries more friendly toward the new ideas of entrepreneurs. Europe and Japan, by contrast, are more regulated, more taxed, more anti-competitive, and so less hospitable to the entrepreneurship that drives China and the US. Entrepreneurs create wealth. Governments don’t. It’s a fundamental reality best understood and practiced in the US and China – and best understood, as well, by those whose capital is placed at risk in private equity deals. Capital goes to where the risk-adjusted returns are greatest. Today, that’s China and the US. It will be true tomorrow as well. Today is a day of immense satisfaction and pride for the Chinese, and for those of us who aspire for China’s success and progress. 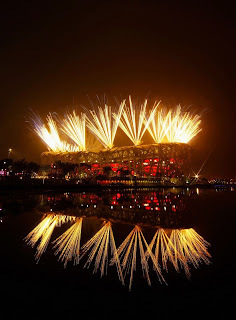 The 2008 Beijing Olympics have begun, and quite literally, the eyes of the world are on China. A remarkable four billion people, or nearly 2/3 of the inhabitants of this planet, are expected to watch the Olympics over the next two weeks. The image many will form of China will be of a proud and ancient civilization restored to greatness. I celebrate the day, and its wider significance. It was 37 years ago, in the spring of 1971, that I, along with most Americans of my generation and older, got their first live televised glimpses of China. Nine American ping-pong players, accompanied by a larger number of American journalists, became the first official delegation to China since the founding of the People’s Republic in 1949. Less than a year later, Richard Nixon paid his historic visit. I was just a boy, but can still remember the excitement and awed wonder on seeing my first live images of the Great Wall, Tiananmen Square and the Summer Palace. It was also deeply inspiring. I was totally (and as it turns out, permanently) fascinated by China from the earliest age, and these images on the TV gave direction and purpose to my life even then. I had to learn Chinese and get to China! It took a decade, but in 1981, I arrived in China for the first time, crossing the Lowu bridge on foot, arriving in a Shenzhen that was then a small border village of 30,000. Today, it is a city of over 13 million. It was one of the happiest days of my life. I’d fulfilled that childhood goal of going to China. My goal changed that day, to one I’m still pursuing – building a deeper personal understanding of China, and a commitment to its future. I went straight to Beijing, and remember instructing the taxi driver at Beijing Station (in my very clumsy Chinese) to drive direct to Tiananmen. I spent the next few days, from my base at the Friendship Hotel out by Beida, riding trams and visiting the same places I’d seen on American TV 10 years earlier. I later took the train from Beijing to Nanjing, to do postgraduate work at Nanjing University. It didn’t take long for me to realize that China’s greatest attraction wasn’t its historical sites, but its people. Then, as now, I felt deeply at home in China. The lesson: home is not just the place one is from, but where one feels the strong sense of belonging, comfort and happiness. For me, that makes China home, even when I’m far away, as now, in California. Over the next two weeks, hundreds of millions of people will see their first live televised images of China. Some surely will form a goal similar to mine long ago – to study the culture and language of the country, and plan a visit someday. I’m American by birth. Yet, my own ambitions, personal and professional with China First Capital, are to contribute to the continued transformation of China into a nation of great progress and prosperity. There is no greater reward than working for something larger than oneself. For me, 8-8-08 is primarily a day to celebrate China’s achievement. It’s also a day when I celebrate the opportunity to work alongside smart and talented people committed as well to building and financing the next generation of world-class Chinese businesses.